16,641 others viewed this post. Oh do I need some sleep. After months of terrible conditions I got 5 nights in a row of near perfect astronomy weather. 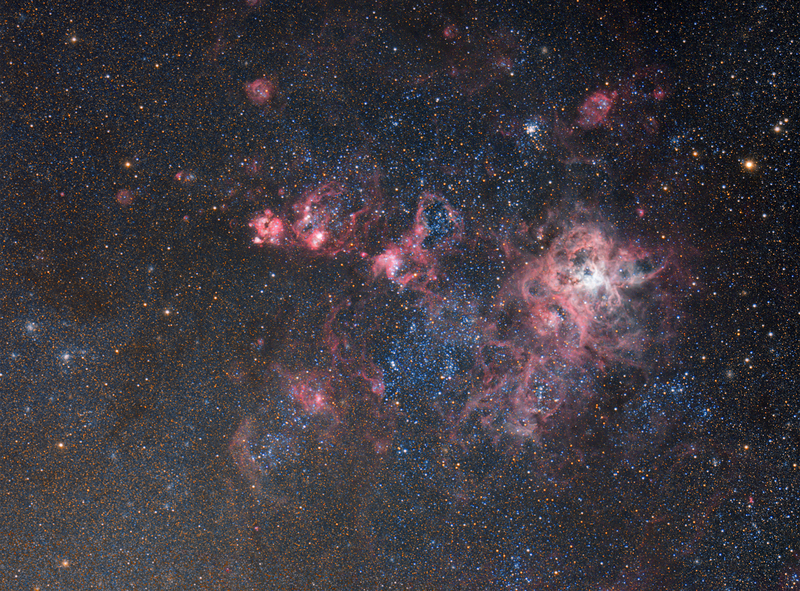 So here also is this years take on the Tarantula Nebula, resting on the edge of the Large Magellanic Cloud. This massive cascade of nebulosity is different from the ones I usually photograph which are in our galaxy, the Milky Way and so much closer to us. These are nebulas in a far distant galaxy. You can see all the young stars in blue, being spewed out of the red clouds as new star systems are formed in this huge star factory. For the imaging nerds, this was created with 3 separate image runs over 3 nights. One in mono with no filter (broadband), one in one-shot RGB colour and one in Hydrogen Alpha which is added as a luminosity layer.